Corrie MacColl sustainable natural rubber supply chain. The implementation of our plantation operating framework, HEVEAGROW, will introduce advanced planting technology and heightened environment and social standards. At peak production, our combined output is expected to exceed 120,000 metric tonnes, of which the majority will be customised and specialised concentrated latex and latex grades. Hevecam is strategically located in Niete, Cameroon, close to the newly opened Kribi Port. The plantation has a land concession of 52,000 ha, of which 27,500 ha are plantable. A large-scale expansion and re-planting programme commenced at the end of 2017 to increase the planted land from 19,000 ha to its full capacity over the next 15 years. The introduction of advanced planting technology to maximise the efficiency of our operations will increase the annual production yield from 1.2 to 2.2 metric tonnes per hectare. The raw material feeds the Hevecam factory which has an annual capacity of 35,000 metric tonnes. As of 2018, a tactical shift from dry rubber to concentrated latex production took place, which included a factory overhaul and an upgrade to the entire plantation collection system. 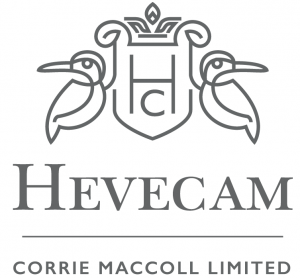 The immediate future will see Hevecam producing 60% latex and 40% crumb rubber, with a medium-term goal of increasing the latex portion to 75%. Sudcam is located in Sangmelima, Cameroon with a land concession of 58,900 ha, of which 27,000 ha are plantable. First tapping on the existing 8,000 ha of planted land took place in April 2018. A large-scale planting programme will increase the planted land to its capacity over the next 15 years with an average yield of 2.2 metric tonnes per hectare per annum. We expect the annual output to reach approximately 60,000 metric tonnes. The plantation has implemented a latex collection system that will feed the Sudcam latex factory that broke ground in 2018. It is expected to be fully functional by the first quarter of 2019. The factory will have a processing capacity of 35,000 metric tonnes per annum and will produce concentrated latex, CV and L grades. A second factory, to be constructed in 2019, will produce TSR grades with an initial annual capacity of 15,000 metric tonnes. The factory will have the expansion capability to produce 35,000 metric tonnes annually. We have been active in encouraging the local communities to plant rubber trees on their land and as part of our community engagement, the raw material output from the local plantations will be purchased for use in the TSR factory along with the coagulated material from our plantation.